Many homeowners find themselves wanting to either update their outdoor patio living space or perhaps even plan to build and install a whole new backyard oasis from the ground up. Whether you are upgrading or performing a new build, it is important to give focus to the design and layout of your new outdoor living space. The overall success of your home improvement project or even the failure is more often than not defined by the attention to detail given to each element of your patio project. With that said, the folks here at American Renovation Services are proud of our superior patio designs and layouts and are on hand to help you upgrade or install your patio with all the important elements accounted for. Every element from hardscaping to the final accessories and trims need to be planned and designed properly in order to present with the perfect patio look you are searching for. If you are not certain how to put together the perfect patio design and layout, that is where our professional team comes in. Our highly skilled and trained technicians are on hand to create, design, layout and install the ideal patio that will absolutely wow all your neighbors, friends and family. In our efforts to provide our valued clients with attractive patio designs and ideas, we have put together this small list of designs to add to the style and décor of your existing home and landscape. We all find comfort and peace in an area donned with sights, smells and sounds of nature. Wouldn’t it be perfect to be able to create that very same peaceful, serene setting in your own backyard? Choosing natural stone materials or even earthly concrete pavers can help accomplish this pleasant task. Keeping in tune with warm earthy tones, and perhaps a rustic looking pergola, and a variety of hanging plants. In addition, you might think about adding a fountain or even a standalone backyard waterfall. 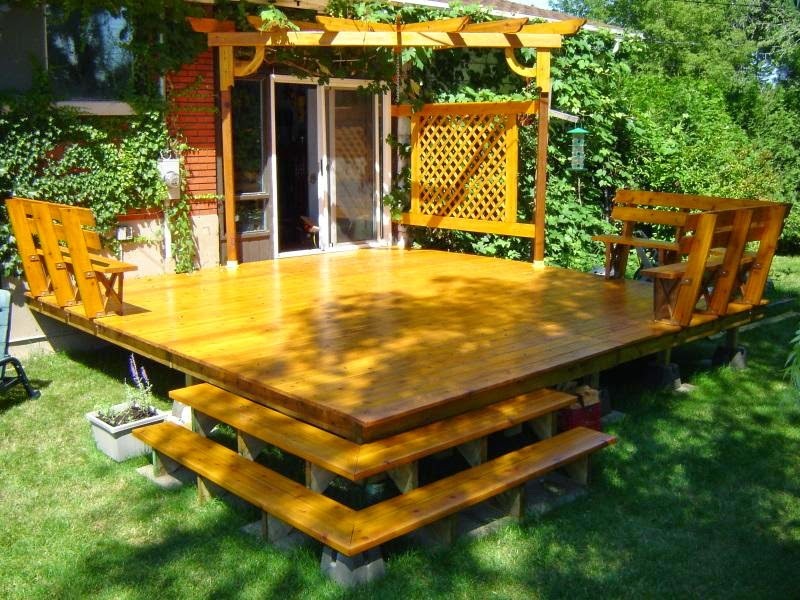 Take all those creative ideas and put them together to design your very own outdoor living space work of art. 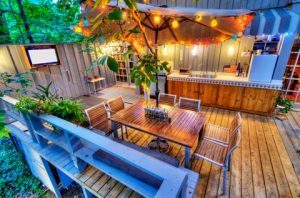 From smooth, neutral surfaces to playful, appealing accents of varied colors, you can certainly set your patio living space apart from all your neighbors and friends. Adding a retaining wall, plants and even a privacy screen will enhance the continuity of your personal design. Is Oriental a Favorite of Yours? Stone and wood flooring for your outdoor patio is sure to give a soft inspirational look from the Far East. Adding structural designs and elements such as an attractive pergola and unique stone wall colors and décor can provide a warm oriental feel of ambiance. Adding some bamboo walls and even some carved paneling of wood will not only enhance the look but provide a soft sense of privacy. Soft lighting and maybe a water feature would be ideal finishing touches. If you are like so many other homeowners, you would prefer to have that endless summer look and feel year-round. With that said, choosing a breezy, beachy style and design will create just that. Light colored stone will create that beach sand look and feel, and a sky blue colored patio ceiling with crisp, fresh white walls and lattices will contribute to that desired beach look. Adding beautiful wicker chairs and a rug of vibrant patterns will add to your relaxed beach atmosphere and be perfect for all your visitors and guests. If you are interested in adding one of these unique patio designs or layouts to your backyard oasis, then you have come to the right place. Remember when designing your ideal outdoor living space, be sure to have a lot of fun with patio designs and don’t hesitate to add elements and creative ideas until you achieve that perfect balance you are looking for. The professionals here at American Renovation Services stand ready to provide you with all your design and layout options and to work right alongside of you when it’s time to create that perfect patio to enhance your home’s outdoor living space! !